It’s a little heavy on the science but, please, stay with us, because it’s worth it to understand how the SetraVida ingredients work. Researchers have learned that one cause of physical aging is the shortening of telomeres in the body. Each chromosome has a “cap” at the end of it. This “cap” is called a telomere. When you’re young the telomere is long. But as you age, the telomere ages as well, and gets shorter. The shorter the telomere, the older you could look, feel, and frankly, are. So we’ve known that if we can stop the erosion of the telomeres, we should be able to slow the aging process. We just haven’t known how to help protect telomeres – until now. Telomeres are protected by an enzyme called telomerase. So long as the body has enough active telomerase, the telomeres, those caps at the ends of chromosomes, don’t shrink and die off. The only issue now was trying to figure out how to keep levels of telomerase high and active. …Setria, or Co-Factor G. A co-factor is a substance that keeps enzymes active, and co-factor G is the one that works to keep levels of telomerase active. How active? 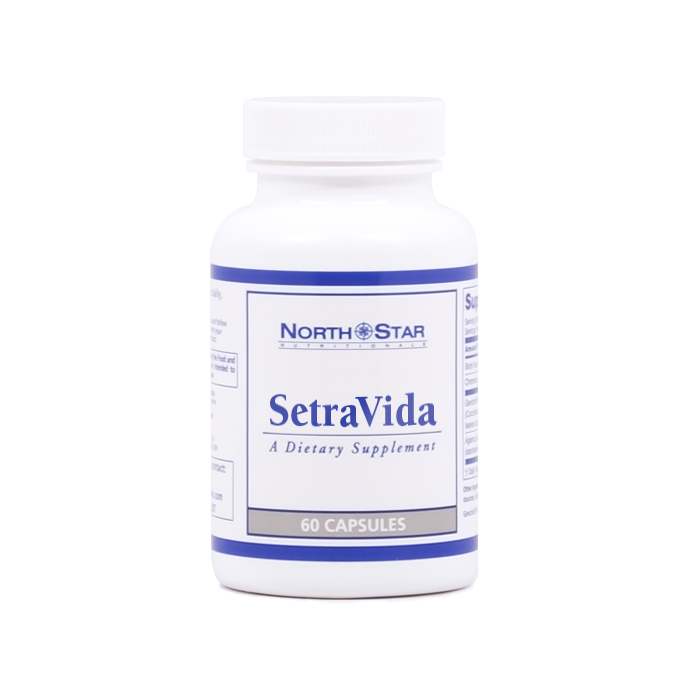 UP to 60% more active than in subjects with depleted levels of co-factor G. Which is why we made sure to include Setria in the SetraVida formula. So the telomerase stays active and the telomeres stay long! As undeniable as the Setria is, however, one ingredient isn’t enough to make an anti-aging formula. Not when we wanted SetraVida to be the well-rounded, age-fighting powerhouse you deserve. But what other ingredients would be unique enough to be worthy of being paired with Setria? How about another substance that your body already produces naturally? You know that antioxidants stop oxidative stress, but what most people don’t know is that there’s a supercharged antioxidant that can neutralize oxidative stress. It’s called superoxide dismutase, or SOD, and yes, this super antioxidant already exists naturally in your body! But the levels of stress your body is exposed to are just too high for the natural levels of SOD to keep up. Because researchers have discovered a way to boost levels of SOD, thanks to a melon with twenty times more SOD than any fruit you’ve ever eaten. It’s musk melon, or cucumis melo if you want to be official. And we were determined to make it one of the SetraVida ingredients. As you know, nothing is as important to your health as getting the nutrients your body needs to stay healthy. You just probably didn’t know that there were nutrients that might help protect you from aging at the genetic level. In the SetraVida ingredient list, we call them scientific names, but you’ll just call them “amazing”. Because preliminary research looks like the SetraVida ingredients may protect your heart, circulatory system, metabolism, eye sight, and more against the ravages of time. Think about it, combating all the markers of aging. 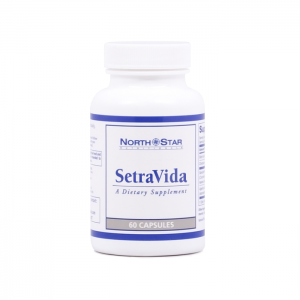 While there’s no fountain of youth, the SetraVida ingredients that make up this life-changing new formula could make a long, vibrant life more of a reality than ever before, regardless of how old you are now. If you’re ready for more tomorrows, you’re ready for SetraVida today.